Will you see one roaming around your state? Self-driving cars represent one of the technologies, like jet packs and underwater cities, that we were promised decades ago. Unlike a lot of fanciful future technologies, limited use self-driving cars are actually here today, and you might see one on the road in your state. But are self-driving cars actually legal? The laws that govern self-driving cars are incredibly complex, and they aren't explicitly illegal anywhere in the United States, but several states have enacted legislation, or issued executive orders, to make the testing and operation of self-driving cars explicitly legal and allowed. Self-driving cars use an arsenal of related technologies to automate the process of driving, from start to finish, with little human input beyond choosing a destination. These cars build on technologies that have been on the road for years, including things like adaptive cruise control, lane-keeping assistance, and automated braking. Collectively, the technologies that underpin self-driving cars are referred to as advanced driver assistance systems (ADAS), and the original intent behind each was to reduce the likelihood of human errors, fatigue, and other similar factors leading to accidents. When combined together with advanced artificial intelligence and some clever engineering, these technologies are working towards a vehicle that can operate with zero human input. Early implementations, like Tesla's Autopilot, have been designed to fall back on a human driver in the case of emergencies, and some states only allow self-driving vehicles to operate on public roads with a human operator or safety-driver inside. Other states actually allow fully autonomous vehicles to operate with no human inside at all. Are Autonomous Cars Really Legal? In the United States, the subject of self-driving car legality is a gray area. When companies first started experimenting with self-driving car technology on private property, there were no laws, federal or local, that explicitly prohibited the operation of self-driving vehicles on public roads. In the years following the development of autonomous vehicle technology, several states have introduced legislation, or issued executive orders, aimed at facilitating the safe testing of self-driving cars on public roads. To date, no states have explicitly prohibited or outlawed self-driving cars. In 2018, legislation was introduced at the federal level to create a baseline for the testing and operation of self-driving vehicles in the United States. The National Highway Traffic Safety Administration also has a set of guidelines for automated vehicle safety. The legality of self-driving cars is a complex issue. If you are unsure about your area, check with your local law enforcement or legislature. The National Conference of State Legislatures also has a tool where you can investigate relevant legislation yourself. Alabama, Arkansas, Colorado, Connecticut, Delaware, Hawaii, Idaho, Illinois, Indiana, Kentucky, Louisiana, Maine, Massachusetts, Minnesota, Mississippi, New York, North Dakota, Nebraska, Nevada, Oregon, Pennsylvania, South Carolina, Tennessee, Texas, Utah, Vermont, Virginia, Wisconsin, Washington, Washington D.C.
Alabama has passed legislation to establish a committee to study self-driving vehicles. Alaska has no legislation regarding self-driving cars, and no governor of the state has ever issued an executive order regarding self-driving cars. That means there are no laws on the books to prevent self-driving cars, but the state has not explicitly allowed them either. Arizona was one of the first test-beds for self-driving cars. This was enabled by an executive order that set out guidelines for testing and operating self-driving cars and also instructed state agencies to eliminate potential hurdles for companies looking to test driverless technologies. The Governor of Arizona ordered Uber to suspend all self-driving car tests in the state, following a fatal accident in 2018. Arkansas has legislation that pertains to self-driving vehicle technology, but not to consumer level self-driving cars. The laws in this state specifically apply to driver-assistance systems that are designed for operating platoons of trucks, not individual use of self-driving cars. There are no laws in Arkansas that explicitly prohibit self-driving cars. California was one of the first states to explicitly allow, and encourage, the development of self-driving technology after several companies began small-scale experimentation on private property in the state. Bill 1298, passed in 2012, established the first procedures for testing self-driving cars in the state. Other laws lay out the rights of law enforcement to seize improperly licensed self-driving cars, the ability of local municipalities to charge specific taxes on driverless taxi services, and other factors relating to self-driving cars. Colorado has legislation that sets out legal definitions for automated driving systems and explicitly allows people to use self-driving cars, provided that such vehicles comply with both state and federal laws. 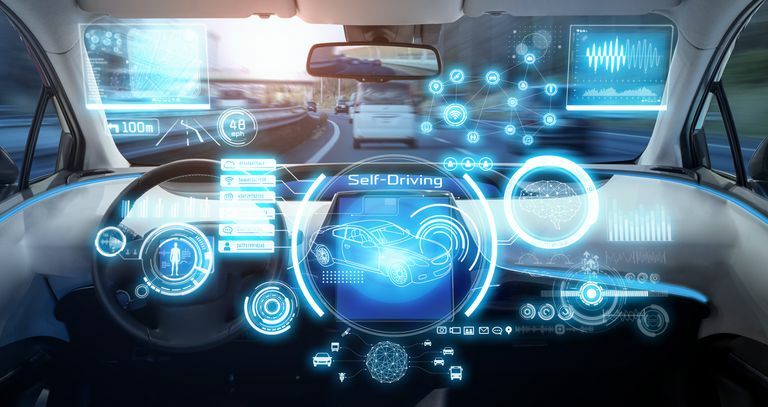 Connecticut has legislation that defines various terms relating to self-driving cars and establishes procedures for testing self-driving cars in the state. Fully driverless cars are prohibited, as the legislation specifies that an operator must be present in the driver's seat of a self-driving vehicle at all times. Delaware has no self-driving car legislation, but the governor did sign an executive order in 2017 to establish an advisory council on self-driving cars. There are no specific laws on the books to prohibit self-driving cars. Florida passed legislation in 2012 to encourage the safe testing of self-driving car technology in the state. The legislation also explicitly stated that Florida does not prohibit the testing or operation of self-driving cars. Later legislation passed in 2016 expanded on this general theme and even paved the way for the testing of fully-automated vehicles with no human operator. Georgia has legislation that defines automated driving systems and exempts the operators of self-driving cars from the requirement to have a valid driver's license. The legislation also sets forth the requirements for a self-driving vehicle to operate in the state without a human operator present in the vehicle. Hawaii has no self-driving car legislation, but the governor did enact an executive order pertaining to self-driving cars. The order instructs government agencies in the state to work with interested companies to facilitate the testing of self-driving vehicles in Hawaii. Idaho has no self-driving car legislation, but the governor signed an executive order in 2018 to support the development of regulations pertaining to the safe testing of self-driving vehicles in the state. There are no laws that specifically prohibit self-driving cars. Illinois doesn't have any self-driving car laws on the books, but the governor signed an executive order in 2018 that established an initiative to promote the development and testing of self-driving cars in the state. There are no specific laws on the books to prohibit self-driving vehicles. Indiana doesn't have any self-driving car laws on the books that pertain to personal vehicles. The only self-driving vehicle law on the books addresses the electronically-coordinated platooning of autonomous vehicles. Iowa doesn't have any self-driving vehicle laws at all, and no executive orders have been signed to address self-driving vehicles. There are no specific laws that prohibit self-driving vehicles. There are no self-driving vehicle laws on the books in Kansas, and there have been no executive orders. There are no laws pertaining to self-driving vehicles at all, so they are no specifically prohibited. Kentucky has a law that sets out regulations for autonomous platoons of commercial vehicles, but there are no laws on the books pertaining to non-commercial self-driving cars. Self-driving cars are therefore not specifically prohibited by law. Louisiana has a law that defines autonomous technology in relation to self-driving vehicles, and a law that sets down regulations for platoons of autonomous commercial vehicles. There are no laws that specifically govern or prohibit prohibit self-driving cars. The governor of Maine signed an executive order to create an advisory committee to facilitate the testing and operation of self-driving vehicles in the state. Additionally, legislation was passed to codify the responsibilities of that committee and to create a roadmap for the development of self-driving technology in Maine. There are no self-driving vehicle laws in Maryland, and there have been no executive orders pertaining to self-driving vehicles. There are no laws on the books that specifically forbid self-driving vehicles either. There are no self-driving vehicle laws in Maryland, but the governor did issue an executive order in 2016 to facilitate the safe testing and operation of self-driving cars in the state. There are no laws that specifically prohibit self-driving vehicles. Michigan has several laws pertaining to self-driving vehicles, including SB 995 that officially allows for the use of autonomous vehicles in certain conditions, and SB 996 that creates provisions for the operation of autonomous vehicles without the presence of a human operator. There are no laws about self-driving vehicles in Minnesota, but the governor did sign an executive order to help facilitate the testing of self-driving cars in the state. There are no laws that specifically prohibit self-driving vehicles. There are no laws in Mississippi that address non-commercial self-driving cars. The only law on the books that pertains to autonomous vehicles specifically relates to platoons of autonomous commercial vehicles. There are no laws that specifically prohibit self-driving vehicles. There are no laws in Missouri that pertain to self-driving vehicles, so self-driving cars are not explicitly prohibited in the state. Montana doesn't have any laws that pertain to self-driving vehicles, and there have been no relevant executive orders. Since self-driving cars have never been specifically addressed, they are not explicitly prohibited in the state. Nebraska has a law that defines automated driving systems and sets out requirements that self-driving cars must meet to operate in the state. The vehicle needs to have fail-safe systems, has to obey all traffic laws, and the operator is required to demonstrate financial responsibility in the form of adequate insurance or self-insurance. Nevada was the first state in the country to enact legislation to make it easier for companies to develop and test self-driving vehicles in the state. The first bill in 2011 created a driver's license endorsement for the operation of self-driving vehicles. Another bill specifically allows the operator of a self-driving vehicle to use their cellphone while driving, which is illegal for drivers of regular vehicles in the state. New Hampshire has no self-driving vehicle laws, and there have been no relevant executive orders. Self-driving vehicles are not specifically prohibited by law. There are no self-driving vehicle laws in New Jersey, and no relevant executive orders have been issued. Self-driving vehicles are not specifically prohibited by law. There are no self-driving vehicle laws on the books in New Mexico, and there have been no executive orders issued. Self-driving vehicles are not specifically prohibited by law. New York has legislation that sets out testing requirements and procedures for self-driving vehicles in the state. Additional legislation has also created additional tests procedures and instructions for first responders on how to deal with autonomous vehicles. North Carolina has legislation that establishes regulations for self-driving vehicles. The legislation specifies that fully autonomous vehicles can be operated without a driver's license. Additionally, no child aged 12 years or younger may ride in an autonomous vehicle without an adult present. North Dakota has self-driving vehicle legislation that requires the state department of transportation to study autonomous vehicles. There are no laws that prohibit the use of self-driving vehicles. There are no laws on the books in Ohio that pertain to self-driving vehicles. Two relevant executive orders have been signed by the governor. The first created an organization to help self-driving car technology companies interface with the government of the state, and the second created regulations for testing self-driving vehicles in the state. There are no self-driving car laws on the books in Oklahoma, and there have been no relevant executive orders. Self-driving vehicles are not specifically prohibited by law. Oregon has legislation that establishes an autonomous vehicle task force that's responsible for creating relevant policies. Recommendations from the task force are expected to be codified into law in 2019. There are no laws in Pennsylvania that pertain to non-commercial self-driving cars. There have been two laws passed that pertain to autonomous vehicles, including one to allocate funds for autonomous vehicle technology, and one that sets down definitions for platoons of autonomous commercial vehicles. There are no laws that specifically prohibit self-driving cars. There are no self-driving car laws on the books in Rhode Island, and there have been no relevant executive orders. Self-driving vehicles are not specifically prohibited by law. There are no self-driving car laws on the books in South Carolina, and there have been no relevant executive orders. The only relevant law pertains to the minimum following distance allowed by platoons of autonomous vehicles. Self-driving vehicles are not specifically prohibited by law. There are no self-driving car laws in South Dakota, and there have been no relevant executive orders. Self-driving vehicles are not specifically prohibited by law. Tennessee has several laws that pertain to self-driving cars, including one that prevents local governments from banning autonomous vehicles. Other laws define various autonomous vehicle terms and specifically allow the use of autonomous vehicles if specific conditions are met. Texas has legislation that defines a variety of autonomous vehicle terms and explicitly states that self-driving vehicles are legal in the state. The legislation also prevents local governments from outlawing self-driving vehicles and provides for the operation of fully autonomous vehicles, with no human operator at all, under specific circumstances. Utah has passed laws to authorize and require studies of autonomous vehicle technologies in the state. There are no laws that specifically permit or prohibit the use of self-driving cars. Vermont has passed legislation to require the state department of transportation to convene meetings regarding autonomous vehicles and report to the House and Senate committees to provide recommendations. Self-driving cars are not specifically permitted or prohibited. The only law on the books in Virginia that pertains to self-driving vehicles is designed to allow operators of such vehicles to view visual displays while their vehicle is under autonomous operation. This is contrasted with regular vehicles, which can only have visual displays if they shut down when the vehicle is in motion. In 2017, the governor of Washington issued an executive order to address autonomous vehicle testing in the state. There is also a law on the books that directs the state transportation commission to develop policies to govern self-driving vehicles. There are no laws on the books that prohibit self-driving vehicles. Legislation passed by the Washington, D.C. council defines autonomous vehicles and requires any self-driving vehicle operated in the district to have a human operator ready to take control. Conversion of conventional vehicles into self-driving cars is also limited to newer vehicles. There are no self-driving car laws in West Virginia, and there have been no relevant executive orders. Self-driving vehicles are not specifically prohibited by law. There are no self-driving car laws in Wisconsin, but the governor did sign an executive order to create a steering committee to provide advice on future regulations. There are no self-driving car laws in Wyoming, and there have been no relevant executive orders. Self-driving vehicles are not specifically prohibited by law. Are Aftermarket Blue Headlights Legal?